Are you looking for a reliable way to monetize your website? If you’re passionate about the content you develop and share with your audience, then perhaps offering a paid membership could be your bread and butter. It’s not rocket science — you just need to put up a “gate” that locks your premium content to paid subscribers. The only question is, will you be able to deliver something that’s worth paying for? In this post, we’ll dissect the anatomy of a successful membership site and profile the elements that you must use yourself. Keep in mind that requesting for the online audience’s contact information is already asking for too much. If you’re bold enough to ask them for a fee just to access your content, then you better guarantee that your content is top of the line. In a membership website, there’s no room for weak and rehashed ideas that can be found just about everywhere. You need to include your original take on the subject matter, throw in some tips that you’ve personally used, and basically offer something that no one else has — otherwise, you risk losing subscribers and damaging your credibility as an information provider. Okay, as far as the topic goes, you don’t have to tackle anything that’s 100% unique. In fact, it’s probably better if you start from a selection of popular content ideas with research tools like Google Trends. 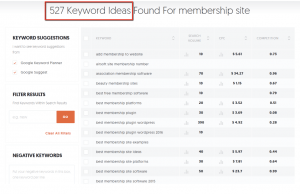 Simply enter a seed keyword or topic that’s relevant in your niche and let the tool unearth lucrative topic ideas for your membership site. The easiest way to boost the value of your content is to utilize truckloads of visual assets to help convey your points. This may come in the form of screenshots, infographics, videos, and so on. Writing with your own casual, conversational tone is a great way to build familiarity and connect with your audience on a more emotional level. Rather than presenting them with thick walls of boring text, adding a bit of humor also improves the entertainment factor of your content. Let’s face it, you’re probably reading this guide because you’re yet to see significant results in your membership site. At this point, it’s safe to assume that you’re not the most popular brand in your niche, which is why you must first work on getting reliable traffic to your website through free content. This means keeping your public blog section regularly updated and filled with valuable information. Not only will this help you win the vote of confidence of newcomers, but it’ll also help your website be more discoverable on search engines. Keep in mind that gated posts are “un-indexable” by search engine crawlers. If the vast majority of your content is hidden behind a paywall, you’re essentially crippling your website’s search engine rankings. Just remember to develop a proper keyword strategy to improve the rank worthiness of your site and pull in more qualified leads into your membership. A simple tool like Ubersuggest can help you with this by expanding base keywords into hundreds of long-tail keyword variations. 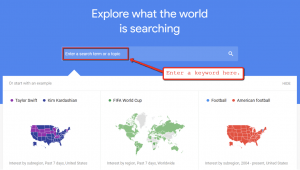 Just like Google Trends, all you need to do is enter a seed keyword to kick-start your research. If you expect your audience to pay for your content, the least you could do is to make your website run buttery smooth. First things first, be sure the images you incorporate into your membership site don’t use too much bandwidth. A lossless compression tool like Compressor.io can help you with this by reducing the file size of your images while also minimizing distortion. Just drag and drop your image into the interface or select the file manually. Unlike online stores and websites that promote a local business, it makes sense for membership sites to have an international reach. Unfortunately, the physical distance between your audience and your web host’s server normally results in higher latency, which pertains to the delay of data transfer across networks. A Content Delivery Network or CDN minimizes latency by utilizing multiple proxy servers that are geographically distributed. To make sure content is delivered as fast as possible, users are sent cached website data from the server nearest to them. Take note that different websites have different needs when it comes to maintenance and optimizations. The only way to identify exactly what you need to do is to launch a full website analysis on PageSpeed Insights. 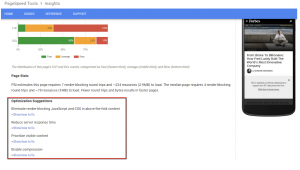 PageSpeed Insights works by automatically detecting performance issues and detailing everything from top to bottom. Furthermore, it includes “Optimization Suggestions” that will allow you to deal with these issues one by one. Finally, a membership website isn’t complete without a discussion board where subscribers can voice their feedback, ask questions, and share their thoughts with other members. This is where your brand truly grows and finds the identity that the audience wants it to adopt. While community management will definitely add another item on your plate, getting the forum section on your website can be a breeze with the help of bulletin board software programs. Always remember that nothing about membership sites is meant to be easy. Content development, performance optimization, community management — everything requires your utmost dedication. You also need the right approach and tools to get the job done. And with the post above, you should have more than enough to create a membership website that will surely thrive. Good luck!